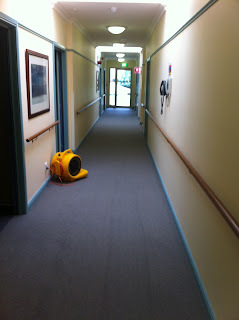 Nursing Home, Just finished cleaning after 2 days, have installed a Yellow Blower to dry, this help reduce residents slipping over. No OH&S incidents makes a successfully job. 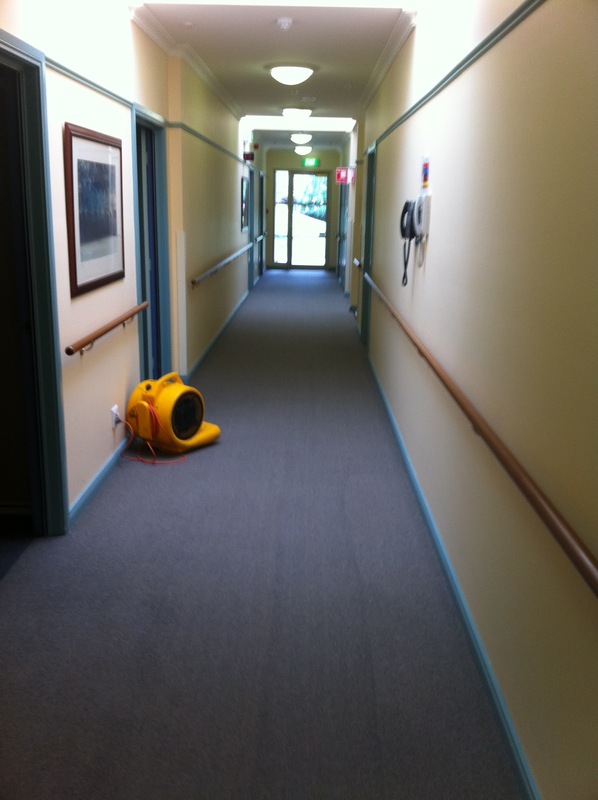 We selected A truckmount machine, more heat and water extraction, this allowed us to clean the carpet more thoroughly than a portable machine.